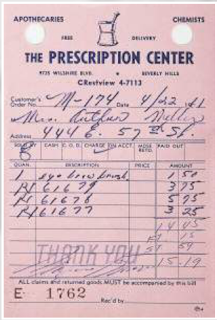 I reached out to Christelle, the creator of the Cursum Perficio web site to ask about the provenance of the bill from Monroe's stay at the Payne Whitney, which indicated she used the name Mary Miller, not Faye Miller. She wasn't sure, but she mentioned "Julien's auctions" as a possible source. 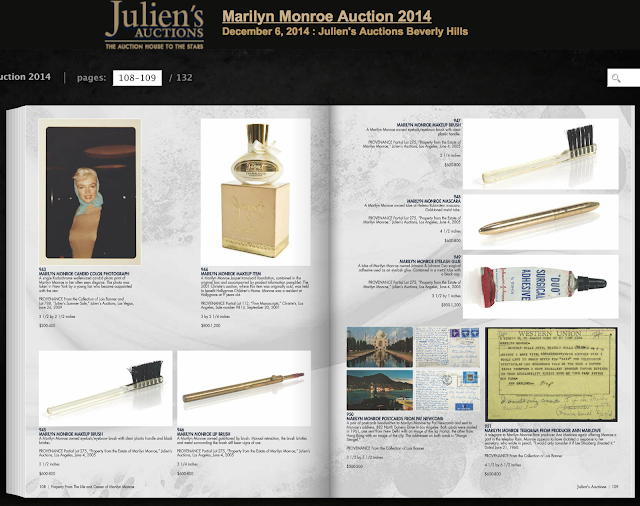 I somehow was not aware that a whole bunch of Marilyn Monroe's possessions and memorabilia was auctioned off last December, even though I was already beginning work on this play by then. So I looked it up and wow, they had a lot of stuff up for auction - you can see the entire catalog here. Here is a fairly typical page to see what kind of stuff you could bid on. 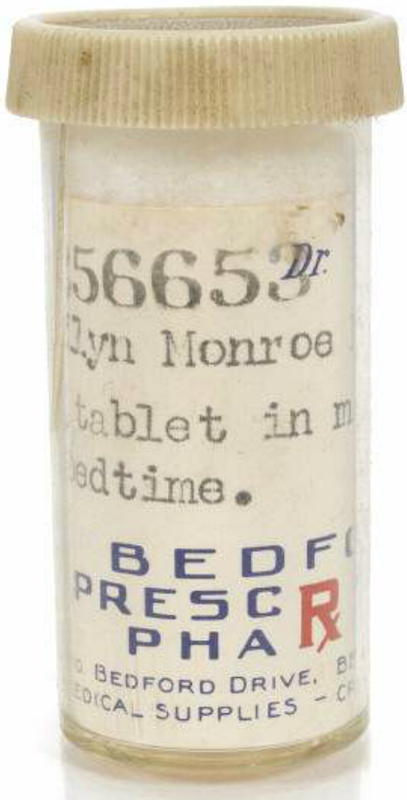 Since Monroe was such a big user of prescriptions drugs - and after all they were the cause of her death - there are even pill bottles and prescriptions up for auction. 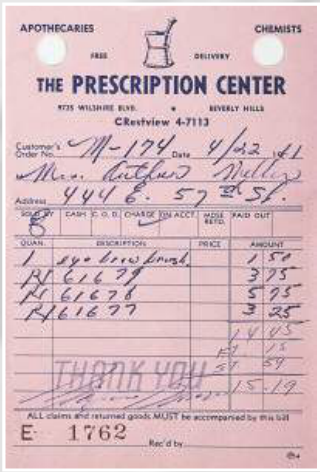 She's listed as Mrs. Arthur Miller in this prescription even though it's from April of 1961 and they had been divorced for months. Unfortunately I didn't find any references to her bill from the Payne Whitney. 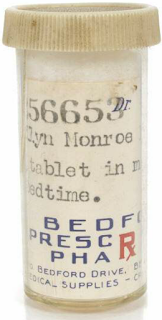 Some of the items are as cheap as $100 opening bid and there are some fancy things like jewelry and dresses she wore, but what I'd want most of all is a love letter written by Monroe to Miller. I took screen caps of the letter in the catalog and plan to translate and transcribe it soon.